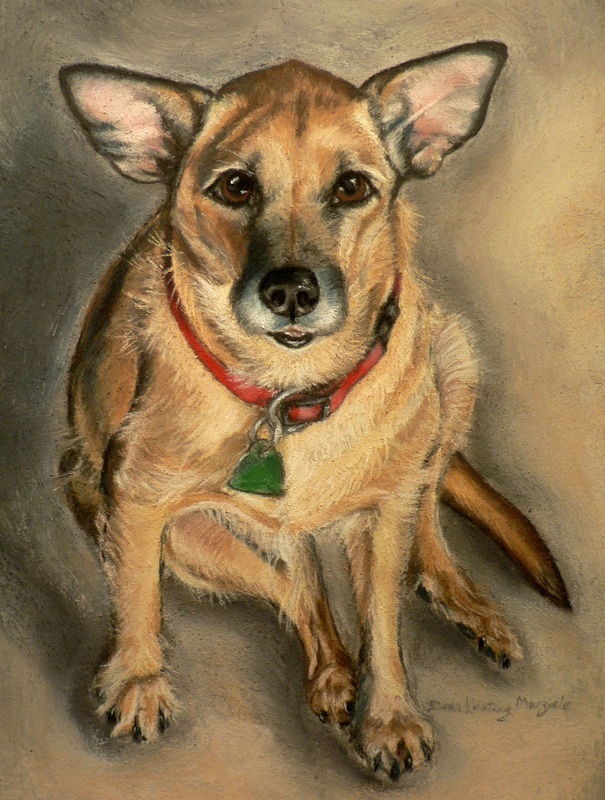 Why do I paint pet portraits? I would be honored if you selected me to paint a portrait of your pet. It is a responsibility that I take to heart. I know how important it is to capture that spark of personality that makes your pet so special. I also know that you will probably only commission one portrait of your pet, and I want it to be outstanding. My goal is to provide you with a portrait that will celebrate a special friend, preserve memories, and provide a connection to your pet long after it has gone. I work in pastel, which is a medium that is pure pigment held together by a minimal amount of binder. This results in particularly rich and luminous color. The portraits are done on acid free, 65% rag content paper. The size of the portrait is up to you, and size determines price. The backgrounds are usually plain with light and shadow, unless the setting is integral to the pose, or if you request something special. The two smaller sizes of portraits include "artist's choice" framing, which means I select a frame that cooridinates with the portrait. I custom order each frame for each portrait. The portraits are double matted with acid-free matboard and backed with acid free backing board, and they are framed behind regular glass. I am always happy to make special accommodations, but it may add to the final cost. The two larger sizes of portraits do not include framing. I offer custom framing on these, but you are under no obligation to have me do your framing, although I do try to make custom framing affordable. Please visit my gallery to see some of the portraits I have done.